Item # 283069 Stash Points: 498 (?) This is the number of points you get in The Zumiez Stash for purchasing this item. Stash points are redeemable for exclusive rewards only available to Zumiez Stash members. To redeem your points check out the rewards catalog on thestash.zumiez.com. 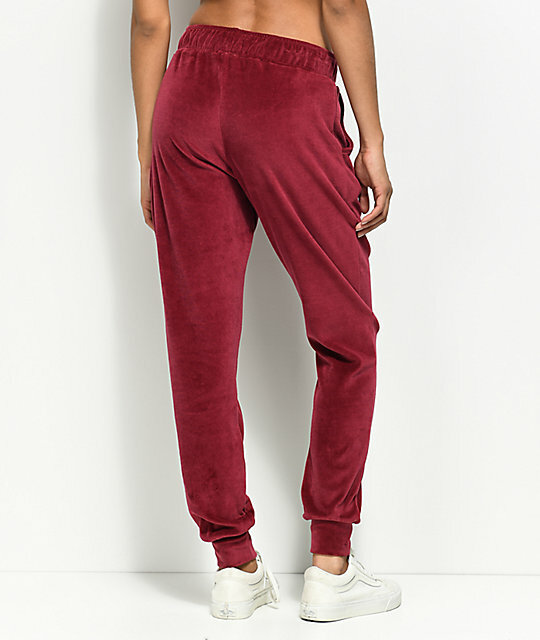 Be comfy and stylish at the same time with a pair of velour jogger pants from Lunachix. Offering a loose fit throughout the thighs with a tapered ankle while the velour construction supplies a boujee factor that would go perfectly with a cotton strapback hat. Loose throughout leg w/ tapered ankle. 29" inseam, 12" front rise, 8" leg opening. 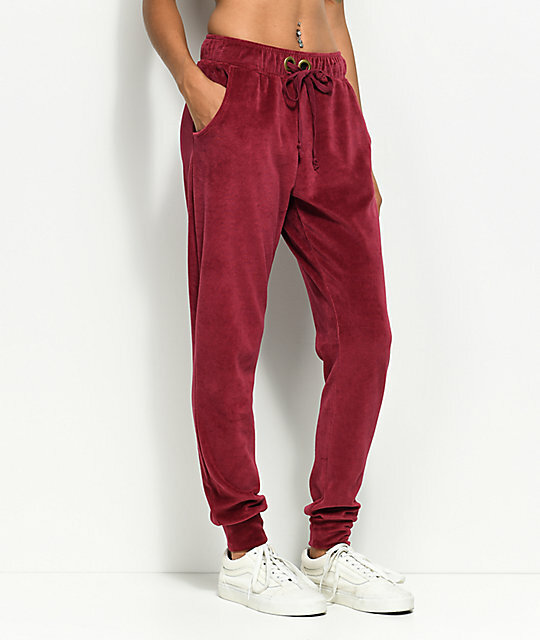 Burgundy Velour Jogger Pants from Lunachix. Crimson red soft velour joggers. Thick waistband drawstring w/ metal grommets. Elastic waistband & ankle cuffs. Soft knit lining for comfort.